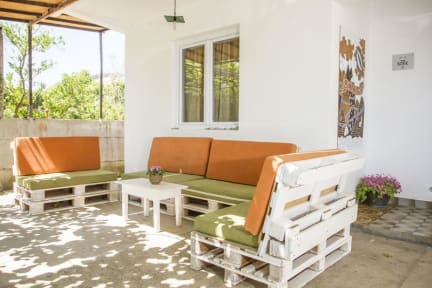 Hostel Breshka Rooms offers everything you need to feel at home.Guests have access to the shared bathroom and the common fully equipped kitchen with a dining area and outdoor terrace. We also offer airport transfers, free parking, Free City Maps and free WiFi. 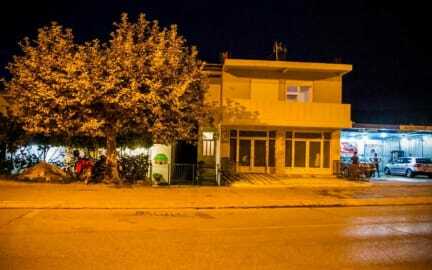 Hostel Breshka Rooms is located 100 m away from the main bus station. More precisely on the 'Vellezrit Frasheri' Str. at the entrance of Ulcinj. Once you are off the bus station and on the main road, cross the street and go 50 m to the right, there you should be able to notice the logo of Hostel Breshka Rooms. Nice hostel! The owners are really hospitable and the hostel has a relaxed atmosphere. Great place to stay in Ulcinj! We had a great stay and the family was always around for questions. Nice kitchen and the hostel was very clean. We really liked the dog and the little cats and would definitely go here again. Prima hostel, dat naast het busstation ligt. De eigenaar is erg sympathiek.